For those utopians starry-eyed about emerging 3-D printing/additive manufacturing (AM) technologies, former President Barack Obama’s enthusiasm was rather encouraging. As a new era has dawned in the White House, what is helping and hindering the growth of 3-D printing today? President Trump’s official position on AM is erratic. One minute he excitedly relates its capabilities for U.S. military might, and the next minute he says it aids illegal gun manufacturing. The fact that AM is associated with cleaner production and green technologies places it in a precarious position. This White House, which has already made a serious dent in environmental regulations established over decades, now oscillates between acknowledging the common sense elements of local manufacturing — even proven in defense matters — while budget cuts to clean energy programs undermine AM’s wider presence and impact. Some of the trouble began when 3-D-printed guns raised the federal government’s ire. But we all know 3-D printing and AM technologies are about much more than guns, right? The White House released an updated Strategy for American Leadership in Advanced Manufacturing report in October 2018. This report does not indicate that there’s any official policy change on additive manufacturing. But this is not the same as funding. The current climate is different from the wild excitement Obama brought to 3-D printing. Obama positioned AM to streamline and restructure American manufacturing with his Manufacturing USA (or National Network for Manufacturing Innovation) network. This involved 14 manufacturing institutes funded through private-public partnerships, with federal government oversight, including the AM flagship institute at Youngstown State University in Ohio. Manufacturing USA has been able to retain funding for its eight Department of Defense-led institutes. This fiscal year, there’s $10 million for Delaware's National Institute for Innovation in Manufacturing Biopharmaceuticals (NIMBL). 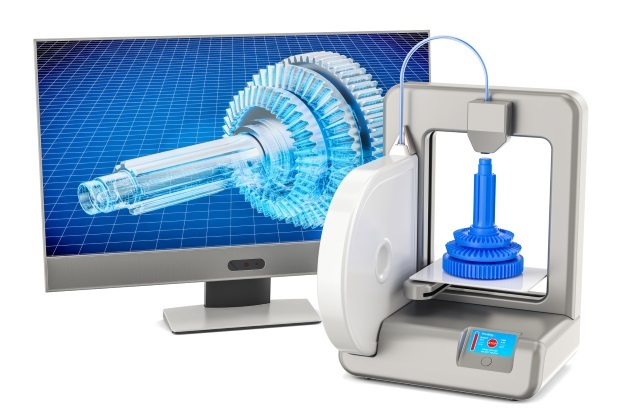 Trump’s FY 2019 $717 billion Department of Defense budget is no small potatoes, reaping gains for defense-related 3-D printing research. The 2018 U.S. military budget was $639.1 billion, "with $13.2 billion of it being used for 3D printing in technology innovation." The Department of Energy institutes’ budgets have been less fortunate, indicating federal favoritism towards AM applications for military and biopharmaceutical research and development. Initiatives that apply AM beyond defense are on the chopping block. The Office of Energy Efficiency and Renewable Energy, which supports AM projects, recently faced a whopping 72 percent cut in the FY 2019 budget. This proposed cut comes after the Advanced Manufacturing National Program Office at NIST saw a 40 percent budget cut in last year’s omnibus spending bill. The Advanced Research Projects Agency-Energy (ARPA-E), which researches renewable energy technologies, is set for elimination. Since some 3-D printing is grouped with clean energy, projects have been slashed or eliminated. In such a vast web of private-public partnerships, it’s difficult to keep track of what is gone and what remains. Until the final budget numbers get sorted out in weeks and months ahead, it is unclear where federally funded AM initiatives are headed this fiscal budget year. As the 3-D-printed gun controversy indicates, private companies are moving forward with technological advancements, with or without government support. The automotive industry uses AM in many capacities. For example, GM has stirred controversy by shifting to electric vehicle production, with plant closures pending. The company has recently announced a partnership with Autodesk’s 3-D design department to manufacture lighter electric car parts. Ford is investing $45 million into its new Advanced Manufacturing Center, and has begun printing parts in a partnership with AM giant Stratasys after a fall in profits. But these singular corporate commitments won’t be enough to substantially enhance AM in the U.S. Brexit, the trade war with China, the new NAFTA (USMCA), the manufacturing slowdown and other economic forces create a backdrop of immense uncertainty. People push new technologies in uncertain times, including AM’s local, small-scale production model. Reduced overproduction risks, the ability to customize, and more on-site flexibility and creativity are all draws for private-sector explorations into emerging manufacturing options. AM isn’t a magic bullet for all U.S. manufacturing woes. But the technology may present attractive solutions to the trade war, according to Forbes: "Why deal with tariffs on imports when you can build at home for just about the same price, and be more responsive to your customers? We’ll still have global supply chains for the feeder materials that go into printers. But most of those materials will likely be low-cost commodities. Future trade wars, if they even happen, won’t touch most manufacturers in any substantial way." Caught in a whirlwind jumble of Department of Defense investment and Department of Energy divestment, no one can ignore 3-D printing’s ongoing relevance. Michelle R. Matisons, Ph.D., is an adjunct philosophy professor and a freelance writer who lives in the Florida panhandle. She has taught on several college campuses and is the author of numerous articles on topics as diverse as emerging technologies, education, and criminal justice issues. You can reach her at michrenee@gmail.com.